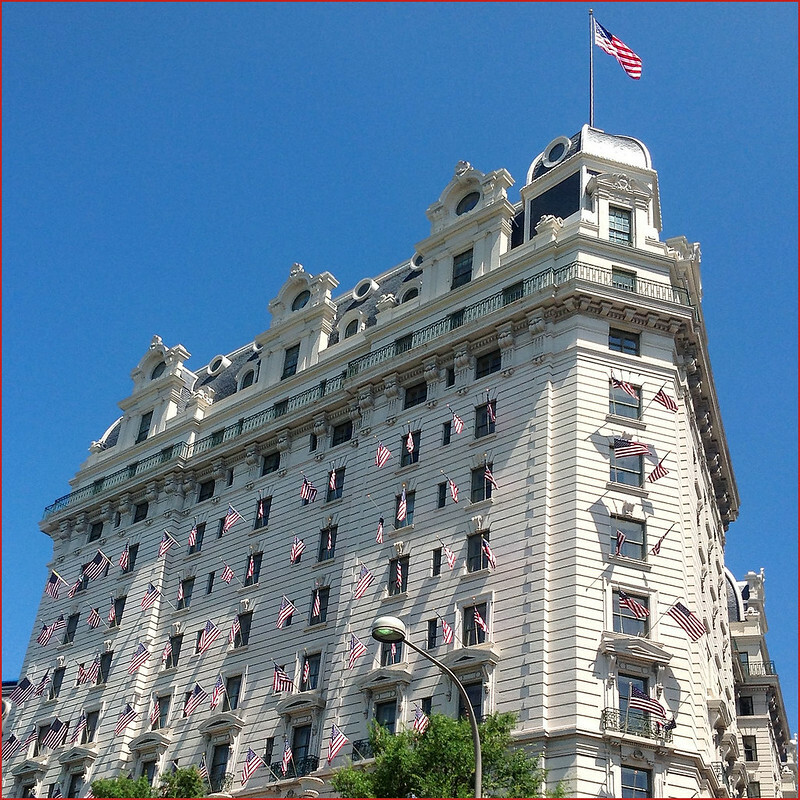 "The Willard InterContinental Washington is an historic luxury Beaux-Arts hotel located at 1401 Pennsylvania Avenue NW in Washington (DC). It is located two blocks east of the White House, and two blocks south of the Washington Metro Center subway station. From February 4 to February 27, 1861, "the Peace Congress", featuring delegates from 21 of the 34 states, met at the Willard in a last-ditch but ultimately unsuccessful attempt to avert the American Civil War. On February 23, 1861, amid several assassination threats, detective Allan Pinkerton smuggled Abraham Lincoln into the Willard during the weeks before his inauguration; there Lincoln lived until his inauguration on March 4, holding meetings in the lobby and carrying on business from his room. Later that year, upon hearing a Union regiment singing John Brown’s Body as they marched beneath her window, Julia Ward Howe wrote the lyrics to "The Battle Hymn of the Republic", while staying at the hotel in November 1861. Martin Luther King, Jr., wrote his "I Have a Dream" speech in his hotel room at the Willard in August 1963 in the days before his March on Washington. Among the Willard’s many other famous guests are Union General U.S. Grant, P. T. Barnum, Mark Twain, Walt Whitman, Samuel Morse, the Duke of Windsor, Harry Houdini, Gypsy Rose Lee, Gloria Swanson, Emily Dickinson, Jenny Lind, Charles Dickens, Bert Bell, and Joe Paterno." Image taken with an iPad. Image published by Ron Cogswell on 2013-07-10 01:37:02 and used under Creative Commons license.